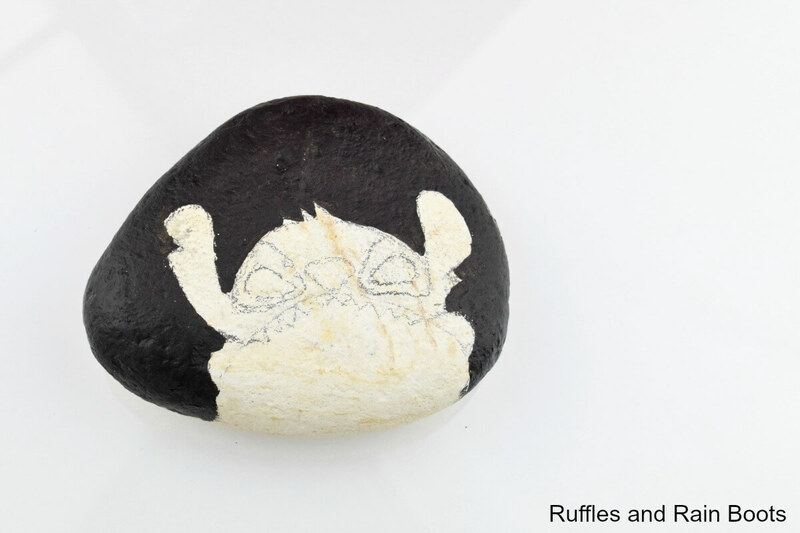 Let’s get started with this Disney rock painting of Stitch from the movie, Lilo and Stitch! 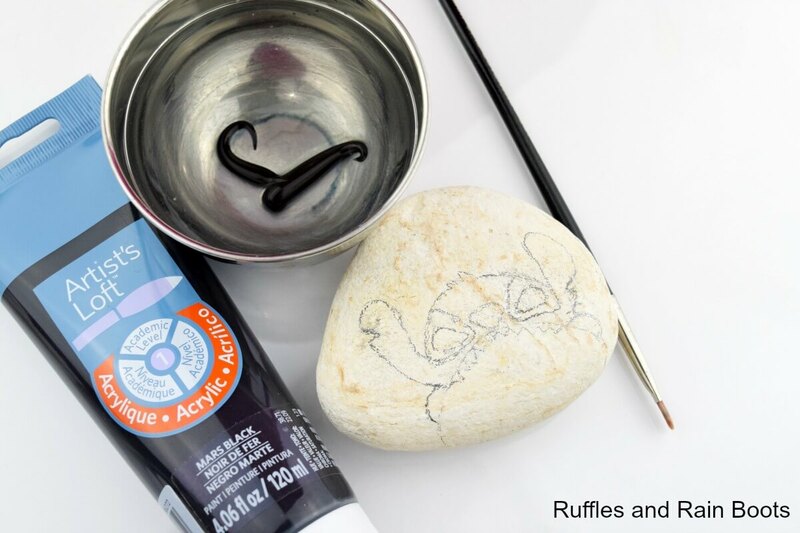 We’re sharing a few rock painting tips, tricks, and techniques, too. Let’s get started. If I’m honest, I had no intention of painting this rock. In fact, I had no intention of rock painting at all yesterday. and this idea popped into my head. I sketched out the idea on a piece of scrap paper using my daughter’s plush doll as a guide. If you don’t want to rely on your drawing skills, print off a picture from the web. 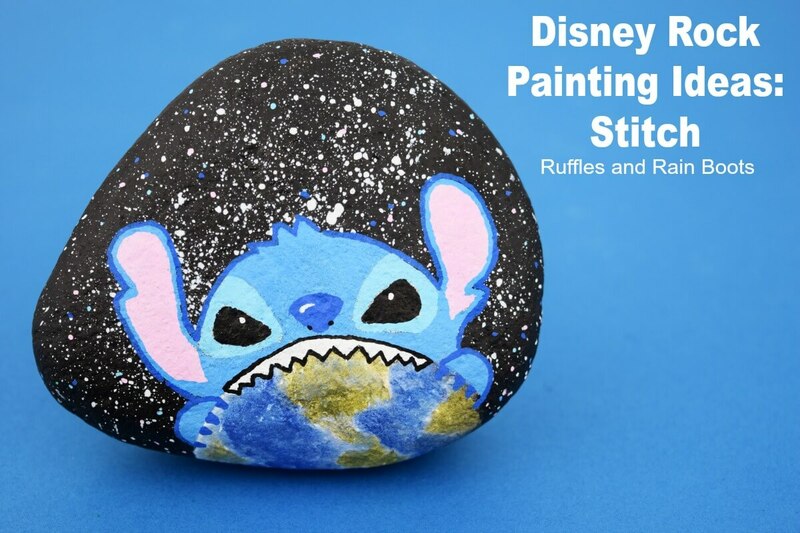 Let’s get started making this fun Disney rock painting Stitch. This rock painting idea has a few more supplies than we normally use. I wanted to paint the earth in a way that contrasted Stitch so I used acrylics, but feel free to use paint pens for the entire project. This looks involved, but it honestly wasn’t. The entire rock was done between 8 pm and 9 pm while I waited (quite patiently, I might add) for my daughter to fall asleep. I don’t seal rocks until 24 hours after they’re done. Lightly sketch a Stitch outline onto a scrap piece of paper. You can also print one from the Internet. :) Transfer the design to a clean rock. Paint the background black. Water down a small amount of white acrylic paint and use the toothbrush to flick stars onto the background. It’s okay if you get it on Stitch, we’re going to paint over it. See how I do this in the video. Fill in the Stitch body. Don’t worry about being precise, we’re going to go over it again. 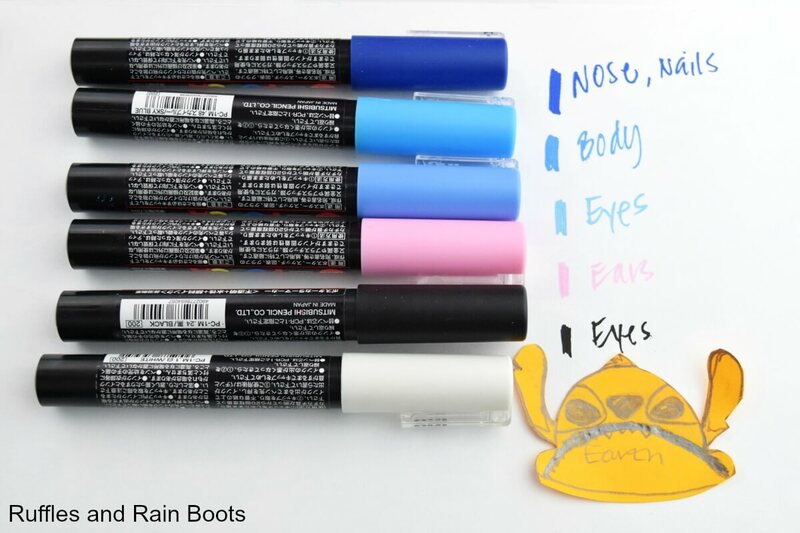 Use the blue, green, and white acrylic paint to create an earth. Seriously, I had no idea what I was doing. Don’t look too closely at the planet – the land mass you see there doesn’t exist in the real world… Do try and add light to one side and shade to the other (in the video). Finish Stitch by adding on his teeth and fingernails. Now, outline the entire body in the dark blue. Finish off the eye and nose reflections and you’re almost done! Paint the back of the rock black (if you haven’t already).Use a thin coat of ModPodge to lightly cover Stitch (and other paint pen details). Once dry, seal the rock with polyurethane. 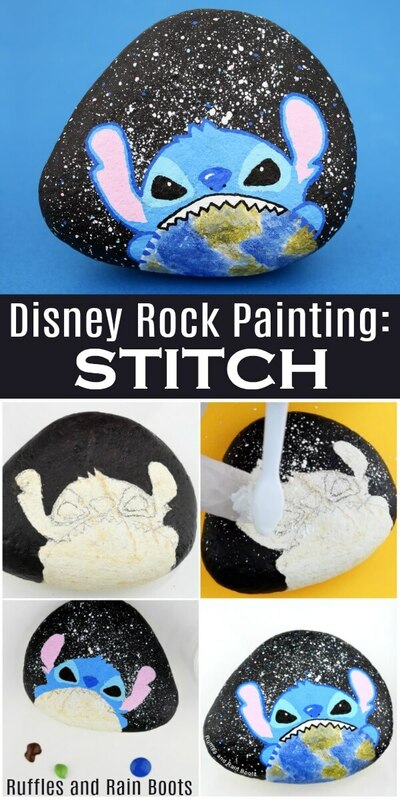 And that’s it, your Disney rock painting Stitch rock is ready! 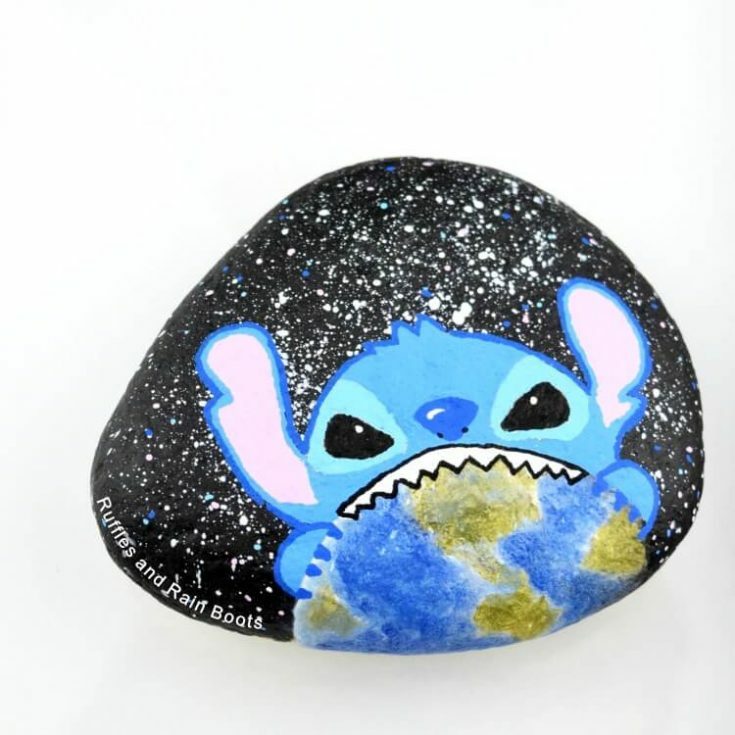 Your Disney rock painting Stitch is done! Isn’t he cute? 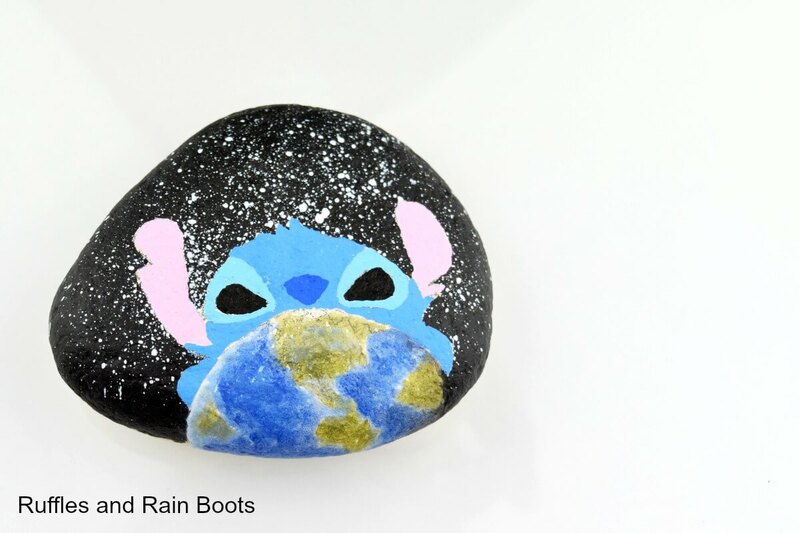 If you’d like to use him as a kindness rock, tag your group on the back (easily done with paint pens), seal it up, and hide it for a lucky Disney fan to hide. 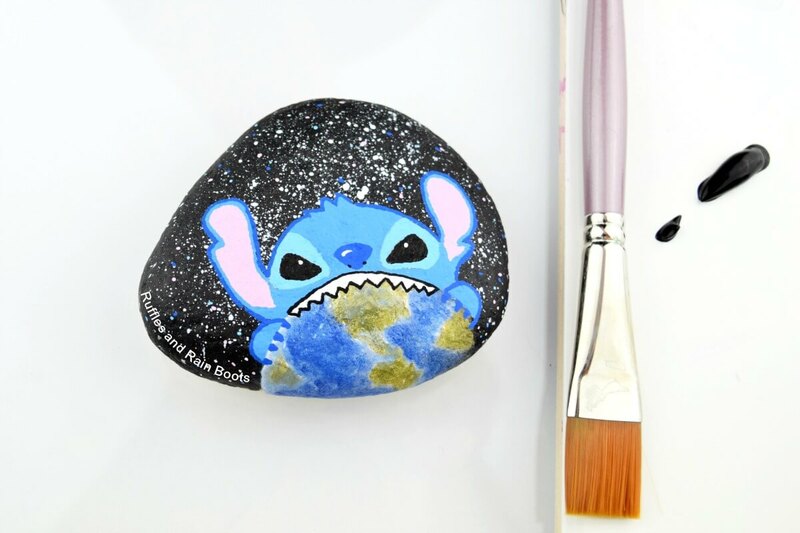 Let's get started with this Disney rock painting of Stitch from the movie, Lilo and Stitch! Water down a small amount of white acrylic paint and use the toothbrush to flick stars onto the background. It's okay if you get it on Stitch, we're going to paint over it. See how I do this in the video. Fill in the Stitch body. Don't worry about being precise, we're going to go over it again. Use the blue, green, and white acrylic paint to create an earth. 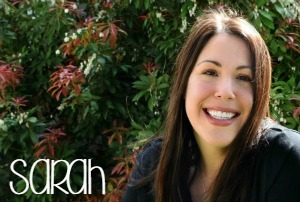 Seriously, I had no idea what I was doing. Don't look too closely at the planet - the land mass you see there doesn't exist in the real world... Do try and add light to one side and shade to the other (in the video). Finish Stitch by adding on his teeth and fingernails. Now, outline the entire body in the dark blue. Finish off the eye and nose reflections and you're almost done! Paint the back of the rock black (if you haven't already).Use a thin coat of ModPodge to lightly cover Stitch (and other paint pen details). Once dry, seal the rock with polyurethane. 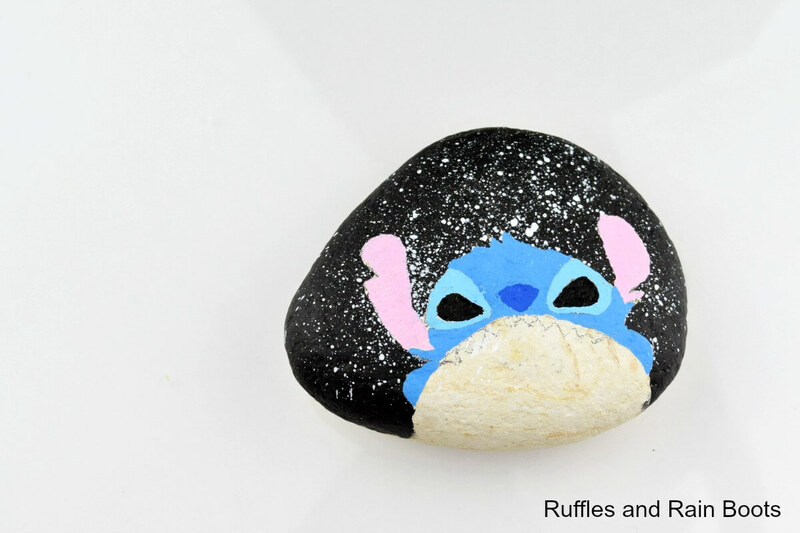 And that's it, your Disney rock painting Stitch rock is ready!